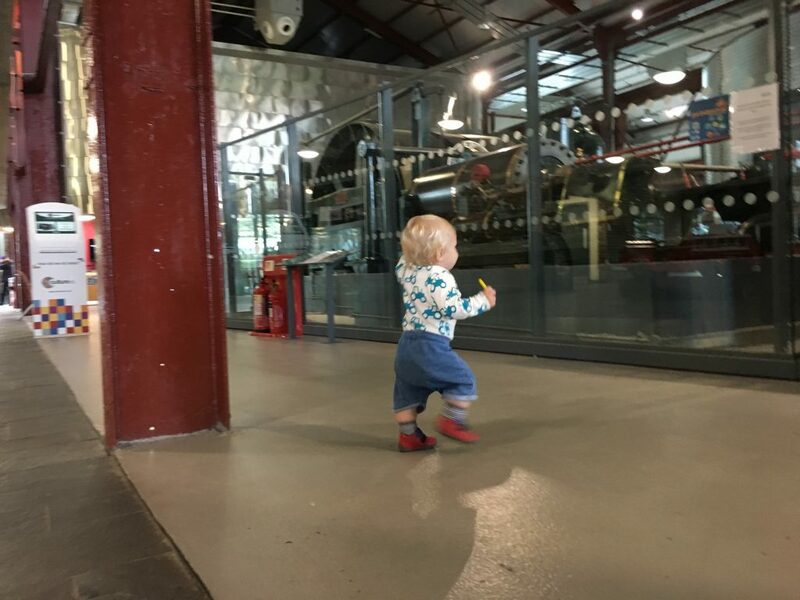 We checked Summerlee Heritage Museum out a little while back. I don’t think I’d been since a primary school trip. That was a longer time ago than I’d like to admit (even to myself) and I had no recollection of Summerlee and absolutely no idea what it was going to be like. All I knew was that there is a tram you can go on. Apart from that I wasn’t sure at all what to expect. The museum itself is big and noisy; it’s vibe reminded me a bit of the Riverside museum. 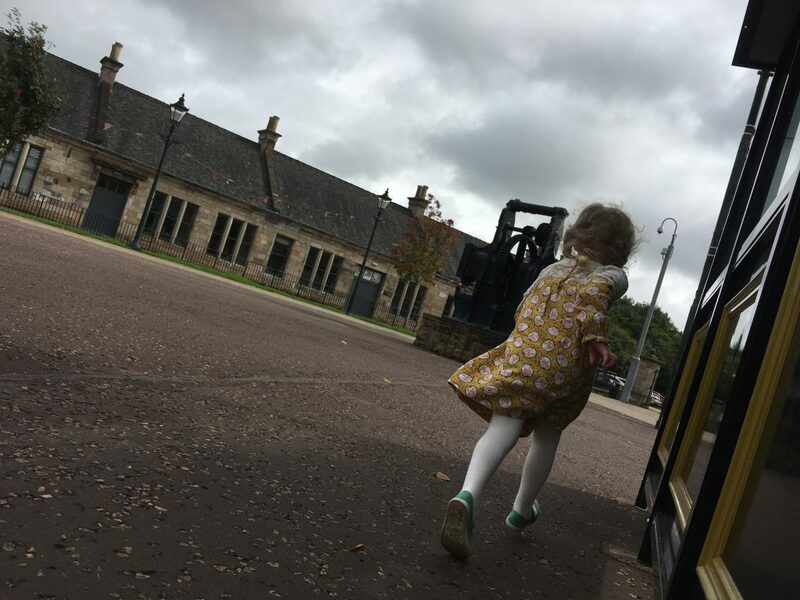 There are lots of different parts to look at – a few big engines that you can see working, screens telling stories of steel workers and various exhibits (including a few with headphones – the little lady’s favourite) talking about the industrial history of Lanarkshire and the people who lived and worked in the area. Within the museum there are a few bits for kids to play. 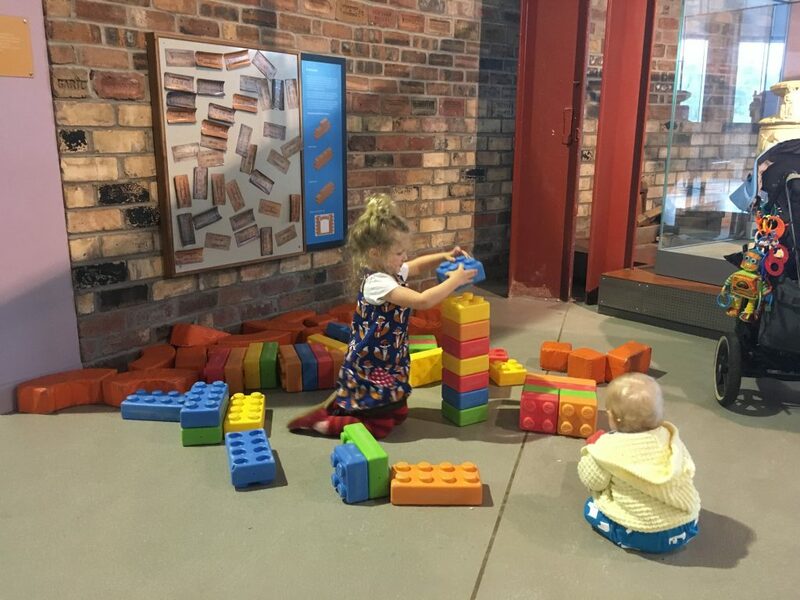 There is an area with big Lego blocks – we spent a good while building/knocking down towers. (I’ll let you guess who the demolition expert is…) There are train set tables out with whole sets of tracks and trains to play with. The tram ride is a short ride from outside the front door of the museum, a few minutes along the track, and takes you down to a little row of about 7 houses. Each house is set up from a different century ranging from 1870’s (maybe, I can’t quite remember how far back they went) up to the 1980’s (I’ll just have to accept that my childhood was so long ago that it is now museum worthy). There’s also a traditional sweet shop down there too and usually a few old toys like the gird and cleek. You can get the tram back to the front of the museum, or you can walk back and see the outside exhibits. The tram has a small fee and runs throughout each day. Prams can go on the tram – they just need to be lifted up quite high. The driver has always been incredibly helpful though and tells me exactly what way round it’s to go before he helps me lift it up. 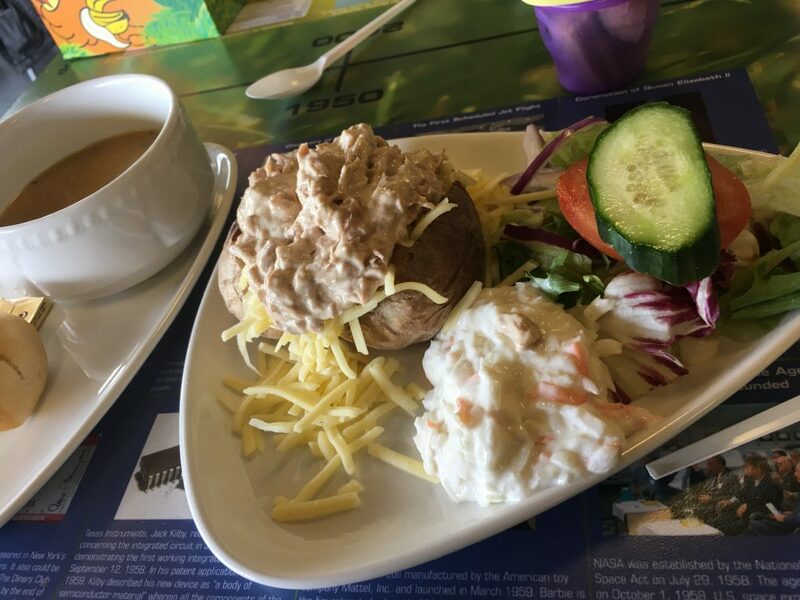 The cafe does sandwiches, soup (this was really nice when I had it), baked potatoes, baguettes, scones and some home baked goods plus hot and cold drinks. It’s not fancy but it is tasty and not overpriced. The cafe staff are very friendly and helpful. There is plenty of parking available across the road, and parking is free. 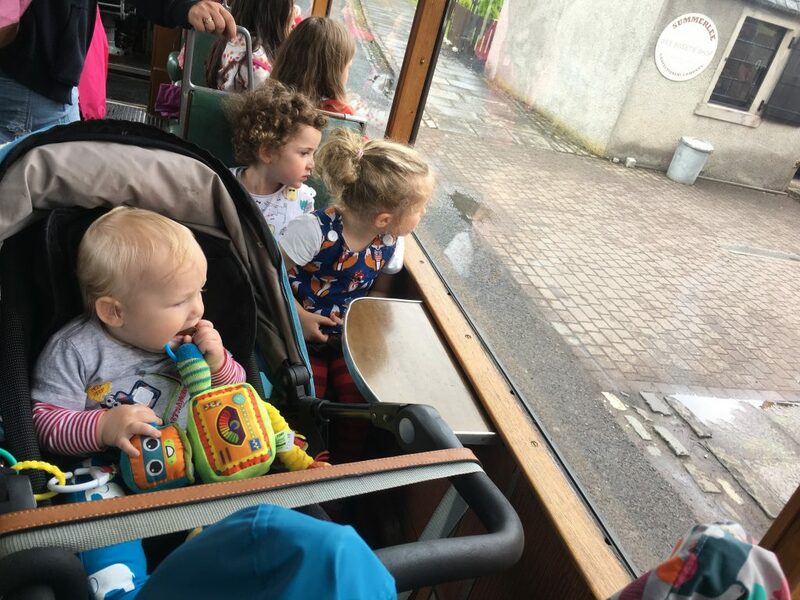 The whole museum is pram friendly; there is one of those small self-operating lifts to get up to the mezzanine if there’s anything up there you want to see. The museum is free. 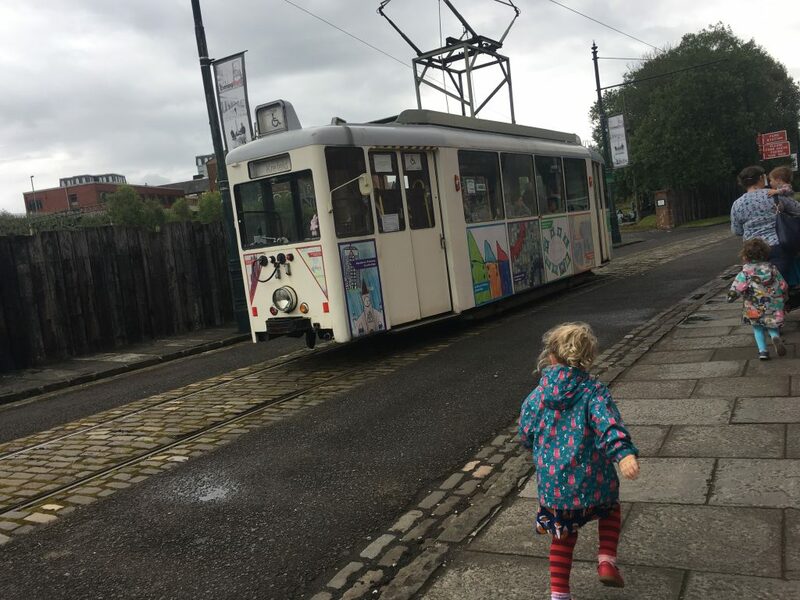 The tram has a small cost of £1.50 for adults, but is free for children. 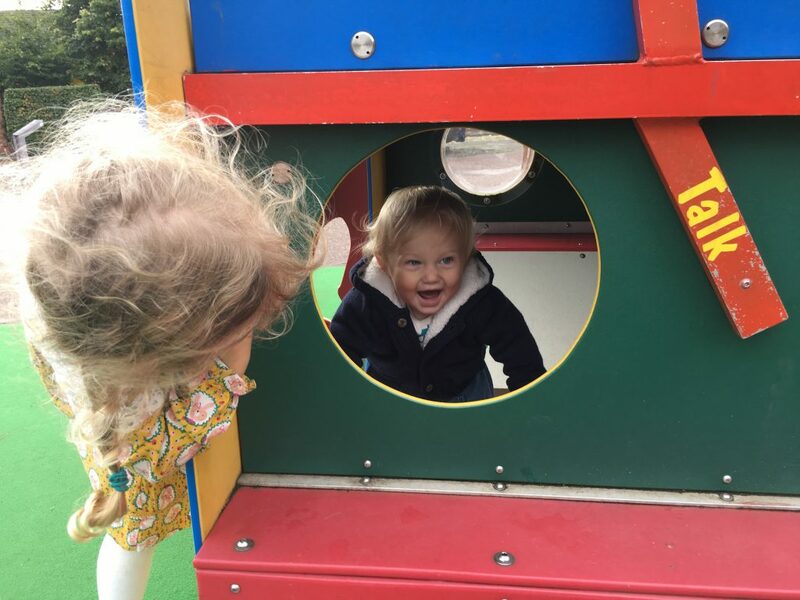 We have been a few times now to Summerlee and have thoroughly enjoyed it each time. 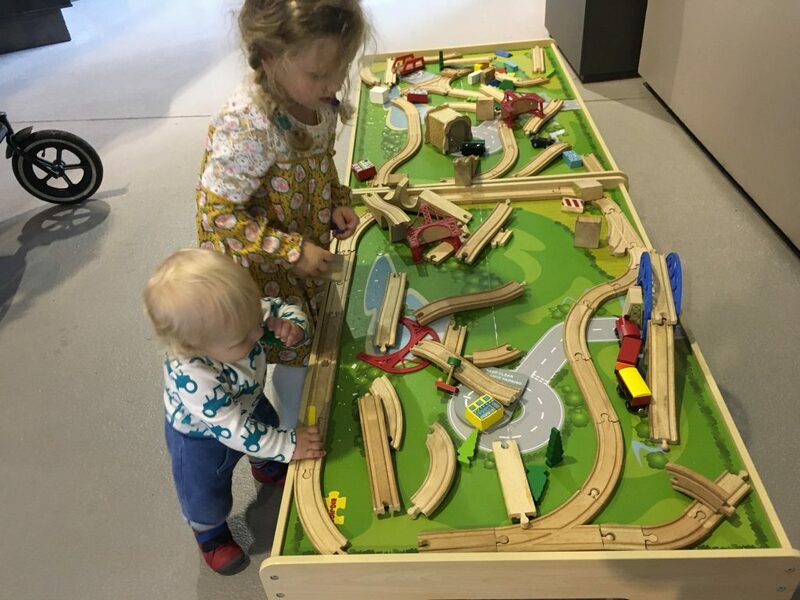 It’s big enough to spend a few hours playing and exploring, and best of all the museum is completely free! The tram ride is a very exciting added extra. 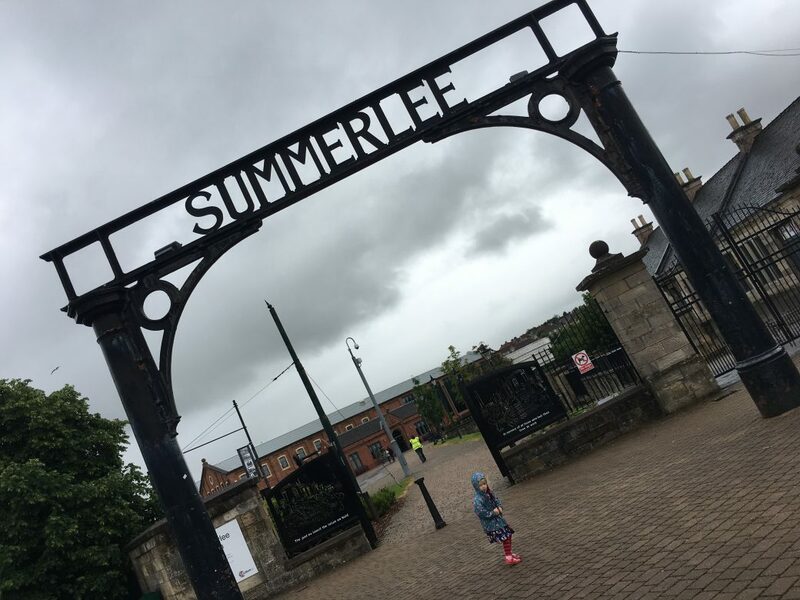 Summerlee Heritage Museum is located in Coatbridge at Heritage Way, Coatbridge, ML5 1QD.